TimesLive reports that a group of protesters from Mpumalanga forced Eskom to close the main entrance to its headquarters in Sunninghill, Johannesburg, on Wednesday. 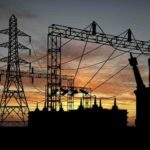 Eskom spokesperson Khulu Phasiwe said the protesters were gathered at the main gate and, for security reasons, management took a decision to close it and asked staff to use the west entrance instead. Phasiwe said the demonstrators had previously come to the Eskom headquarters during lunch time demanding that they be employed at Eskom power stations in Mpumalanga. They were also demanding that they be considered for coal supply contracts. 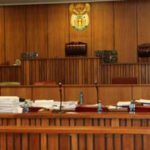 Saturday Star reports that a recent Labour Appeal Court ruling has sent a stern warning to South African employers to be more tolerant of their employees’ religious beliefs. This comes after the court ruled in favour of Deidre Beverley Faris, who took her employer, TDF Network Africa, to court over what she deemed was an unfair dismissal over her unavailability to work over the Sabbath. 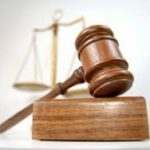 The court agreed that the Seventh Day Adventist, who observes the day for religious reasons and abstains from work from Friday evenings to Saturday evenings, was dismissed unfairly and awarded her 12 month’s compensation. Faris told the Labour Appeal Court the company was aware that she observed the Sabbath and that this prohibited her from working during this time. But TDF Network Africa went on to fire her from her managerial position at the company, arguing that it was an inherent requirement for someone her position to participate in the company’s stocktaking. The court emphasised that a legitimate commercial rationale was not sufficient to demonstrate fair discrimination, and went on to highlight the need for religious tolerance in the workplace. The National Union of Mineworkers (NUM) confirms a strike by workers at the cement producing company PPC at Hercules in Pretoria over wage increases. Workers are embarking on a protected strike over the company’s refusal to bargain on wage increases. This comes after the NUM gave PPC a notice to strike on the 4th April 2019 and workers commenced with the industrial action on the 9th April 2019. The strike has entered its ninth day today. 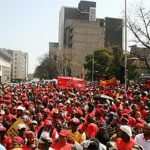 The NUM is demanding a salary increase of 12% across the board, a housing allowance of R1 500 and transport allowance for shift workers of R750 to be back dated to 1st October 2018. “We are determined to fight for our rights as workers. Workers are determined to proceed with the strike in support of their demands. We signed a collective agreement granting us organizational rights as a majority union, so the company should meet our demands,” said NUM Branch Chairperson Surprise Baloyi. PPC is the leading supplier of cement in southern Africa. The company produces aggregates, metallurgical-grade lime, burnt dolomite and limestone. The NUM demands the company to close the wage gaps that exist within PPC. The company management is creating the wage gaps instead of closing them. SABC News reports that more South Africans will now be able to access legal assistance. Legal Aid South Africa has amended its Means Test, which assesses whether one can qualify for legal help. Legal Aid SA provides legal services in criminal and civil matters and receives its funding from Parliament. Previously, it only assisted people who earned up to R 5 500 per month, after tax. The applicant’s household income had to be less than R6000. From now on, if you are applying for legal aid, your monthly earnings, after tax, must not exceed R7 400 and your household’s monthly income shouldn’t be more than R8 000. The value of all your assets including houses, vehicles and furniture should also be less than R640 000. Legal Aid SA says the amendment to the Means Test was necessary, due to the impact of inflation and the rising cost of living. 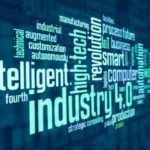 Engineering News reports that South African Science and Technology Minister Mmamoloko Kubayi-Ngubane on Tuesday highlighted that the country’s future development probably depended on how fast it mastered the technologies of the Fourth Industrial Revolution (4IR). She was addressing a breakfast forum to mark the setting up of a South African Affiliate Centre of the World Economic Forum’s Centre for the Fourth Industrial Revolution (C4IR). The local Affiliate Centre will be hosted by the Council for Scientific and Industrial Research (CSIR) in Pretoria. “This is the start of a very long and exciting journey together,” she said. “The centre will provide a platform for cooperation between government and business.” She noted that the CSIR had already identified priorities for the South African Affiliate Centre. These were – artificial intelligence (AI), machine learning, the Internet of Things (IoT), blockchain, distribution ledge technology, and precision medicine. University of Johannesburg Vice-Chancellor and Principal Professor Tshilidzi Marwala, addressing the same event, cautioned that South Africa was lagging in certain key 4IR technologies. He urged South African government departments to develop strategies to address the impacts of the 4IR in their areas of responsibility, such as Labour, Social Development and Science and Technology. The Department of Science and Technology should look at revising the Advanced Manufacturing Strategy, because, when that was originally launched, AI was not an issue. Furthermore, Parliament should look at legislation to deal with issues being created by the 4IR, such as privacy. 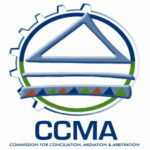 Sowetan Live reports that the CCMA matter between Ndalo Media and its former employees has been taken for arbitration after its owner, Khanyi Dhlomo, failed to show up for the second time. Dhlomo and her former employees are in dispute over unpaid severance packages as well as the decision to retrench staff and then later liquidate the company before negotiations were concluded. Several employees who had been with Dhlomo for years were told they could get as little as R12,000. The matter was, on April 8, postponed after Dhlomo failed to show up. The commissioner elevated the matter to arbitration after she did not pitch again on Monday. At least 20 former Ndalo employees showed up at the CCMA hearing but the matter could not go through. It is not clear why Dhlomo has been failing to show up to the hearings. The employees have also accused Dhlomo of not following proper processes in dealing with their pensions and Unemployment Insurance Fund (UIF). ITWeb reports that an illegal strike at mobile operator Cell C has led to 378 staff being suspended, pending a disciplinary hearing. “They were suspended for participating in an illegal strike, blocking other employees and customers from entering and leaving the premises. We were granted an interdict to prevent them from blocking the access and exit to the campus, among others,” Cell C executive head of communications, Karin Fourie, told ITWeb via e-mail. “The suspension followed two ultimatums that were issued on Wednesday by management requesting staff to desist from illegally blocking the company’s entrances and exits and return to work. 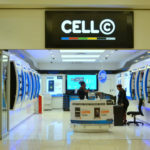 Striking employees failed to comply with both ultimatums, leaving Cell C with no choice but to suspend them,” Fourie added. The suspension will stand until Cell C finalises a disciplinary process for the striking workers, which were expected to begin today. 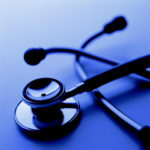 The SA Medical Association (SAMA) indicated on Friday that it had commissioned management consultancy PE Corporate Services to conduct an investigation into the levels of overtime worked by medical practitioners in the public service. Dr M Thandrayen, SAMA General Manager, advised that: A key objective of the study is to establish the relative equity of current National Department of Health overtime pay arrangements, and formulate recommendations on how any inequities should be addressed. This investigation forms part of a broader study into the remuneration and working conditions of medical practitioners in South Africa.” Dr Thandrayen went on to indicate that as part of the exercise, PE Corporate Services needed to gather current data on overtime hours worked by medical practitioners, and the impact of this on career and lifestyle goals. SAMA members were invited to participate by completing and returning a questionnaire. All the responses received would be collated and reported on in the form of aggregated analyses of overall trends and statistics. News24 reports that Labour Minister Mildred Oliphant says government will name and shame employers who fail to comply with the national minimum wage. The National Minimum Wage Act came into effect at the start of this year and stipulates that employers should pay employees a minimum hourly rate of R20. For farm and forestry workers, the amount is R18 per hour, domestic workers R15 and for workers of the Extended Public Works Programme (EPWP), the amount is R11. Speaking at an International Labour Organisation (ILO) event earlier last week, Oliphant said her department is on a national blitz to “assess levels of the National Minimum Wage Act in businesses with over 1 300 inspectors assigned to monitor compliance”. She added that her department is aware of a “new tactic that was gathering traction – that of firing workers to undermine the labour laws that seek to address unemployment, inequality and poverty”. The department will stop these tactics in their tracks, Oliphant warned. GroundUp reports that about 200 unemployed security guards in Nelson Mandela Bay protested outside the Port Elizabeth City Hall on Wednesday afternoon, demanding that the municipality give them jobs “as they promised”. 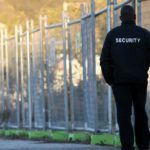 The security guards said that since the municipality had ended its contract with two private security companies, Fidelity and Metro, jobs had been scarce. Security guard Khethukuthula Ntshinga said he had served the municipality through a contract with a private company. In the past two years, he said, 672 security guards had been taken onto the municipal staff from private companies, instead of a promised 1,000.